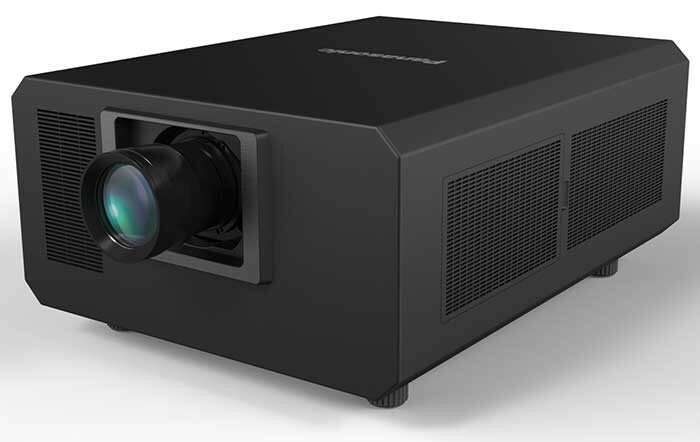 Lang, one of Europe’s leading AV technology rental companies, has committed to purchase 50 Panasonic PT-RZ31K projectors, the 28,000 lumens laser phosphor projector that was launched at ISE 2016. The 3-Chip DLP Solid Shine series, which has been designed specifically for large venue applications, is the brightest projector Panasonic has ever launched, and offers continuous maintenance-free operation, low total cost of ownership, a small cabinet and stunning picture quality. Lang supports many of Europe’s leading projection mapping events, including the Bucharest iMapp Festival and Moscow’s Circle of Light, where it will look to integrate the PT-RZ31K in future shows. Tobias Lang, CEO of Lang AG, said: “We are convinced that, over the next few years, the rental market will fully transition to laser technology. In order to lead this shift, Lang AG has carried out a technical evaluation of the RZ31K projector and its alternatives. We feel that due to the robust and reliable laser concept, the outstanding picture quality and the compatibility with existing Panasonic lenses, the new projector is sure to be extremely popular." The projector is available from autumn 2016 in both WUXGA and SXGA+, each outputting 28,000 centre lumens, and is compatible with existing Panasonic lenses for 3-Chip DLPT projectors, allowing operators to share lenses between projectors in their inventories. Jan Markus Jahn, director of Panasonic Visual & Communications Systems, said: “Panasonic has been a pioneer in the development of laser projection technology, having launched the popular PT-RZ670 in 2014 and PT-RZ12K laser projector last year. The RZ31K series offers 360 degree installation, Digital Link single-cable transmission of video and control signals over long distances, a backup input setting, as well as edge blending, colour matching, brightness and colour control with geometric adjustment functions for blending multiple projectors.